Revitalizes and tones the skin. 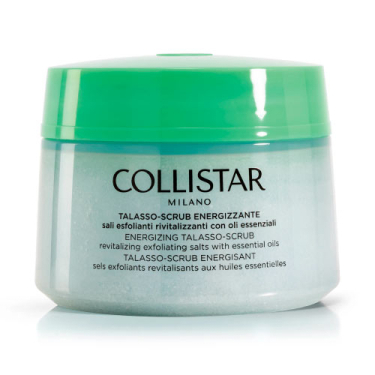 DESCRIPTION: Talasso-Scrub Revital Exfoliating Salts from Collistar is an exfoliating energizing. More than a simple exfoliating is a revitalizing and regenerating treatment for your body. It combines the extraordinary properties of thalassotherapy and aromatherapy to optimize the effects of exfoliation. Mix the exfoliator with the spatula. Apply all over the body and massage with special attention to the most rugged areas. It is recommended to use 1 to 2 times per week. 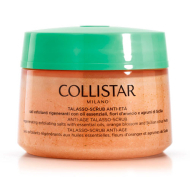 Apply on wet skin for a light exfoliation or dry skin for intense exfoliation.